Pioneered through a combination of Dr. Fisher’s surgical advances, the Pinnacle Lift is the next plateau of facial aesthetics for stunning, graceful, and among the best results in cosmetic surgery Beverly Hills patients can trust and rely on. With his relentless expertise, he reduces extra skin and sagging tissue according to each patient’s unique circumstances. He maintains the integrity of the patient’s hairline, avoiding a pulled back or overdone appearance. He minimizes scars so they are virtually invisible. With his subtle, conservative technique, Dr. Fisher not only improves his patients’ appearance, he also thoroughly conceals the dreaded footprint of plastic surgery while providing quite possibly the best facelift Beverly Hills has to offer. The Pinnacle Lift™ is not a simple procedure, and not something that can be easily taught to others. A perfectionist, Dr. Fisher wants to be certain that each patient gets the best facelift results possible. And currently, those results are better than ever before. Dr. Fisher explains, "What has changed about plastic surgery over the years isn't the anatomy, it's our understanding of anatomy." The Pinnacle Lift™ is, indeed, a result of the scientific advances that have increased Dr. Fisher's understanding of the anatomy of the face, and his ability to work with that anatomy in a positive way. This make him now more than ever capable at delivering among the best facelift Beverly Hills has available. 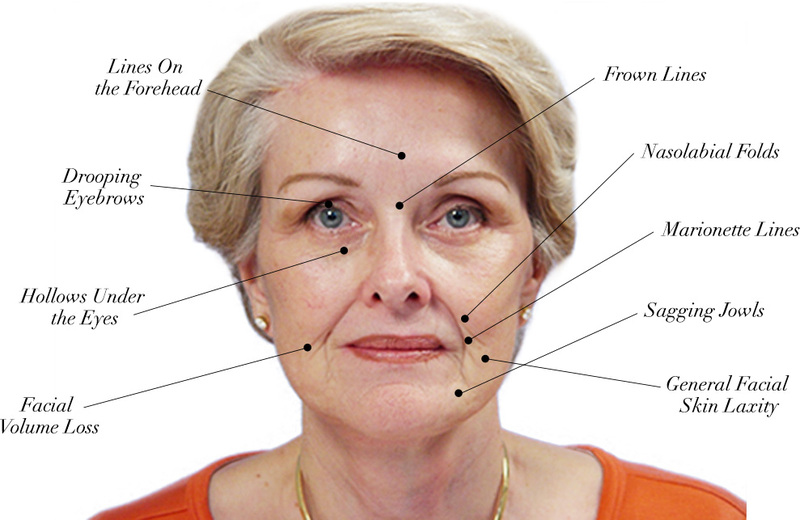 People seeking a facelift can conduct their research in different ways. Many find themselves at the clinic of Dr. Garth Fisher; a world class facial plastic surgeon in Beverly Hills with a long list of celebrity and A list clients who must demand exceptional results. Those making their living in front of the camera must be camera ready at all times and cannot afford mistakes from their plastic surgeon. Sagging skin, hollowed cheeks, drooping eyelids….all of these signs of aging can be minimized or eliminated through facelift surgery. Dr. Fisher developed the Pinnacle Lift to take facial plastic surgery to a new level. Using techniques he developed, he artfully removes years of stress, sun exposure and wear and tear to reveal a refreshed and younger version of his patient. Dr. Fisher routinely produces arguably the best facelift Beverly Hills residents could hope for. His signature technique is very conservative yet produces remarkable results that are discrete and believable. While Dr. Fisher will ultimately determine if the Pinnacle Lift is right for you, we’ll help you with some self-analysis. Below are qualities the Pinnacle Lift has been proven to address. If you experience one or more of the following, you may be eligible for this exclusive procedure. A world class facelift not only boosts self esteem; it opens door to financial and career opportunities that may not have been available otherwise. Reducing signs of aging through facelift surgery gives the recipients a competitive edge in industries that have a wealth of young and highly competitive rivals. Dr. Fisher is proud of the fact that his highly discerning patients have achieved personal and career success without worrying about tell tale signs of aging. Stemsculpt is our latest advance in cosmetic facial and body treatment. An autologous mixture of ultrastructural stem cells is injected as a semi-permanent tissue filler. Enhanced volume and precise contouring are artistically achieved with minimal downtime to provide a natural solution to visible aging changes. Dr. Fisher tells us that his exclusive Pinnacle Lift is defined by its unique characteristics. First, the procedures involved are customized for your face. Many small individual procedures are used, rather than any large, extensive single procedure. Care is taken to make certain that any scars from the surgery are tiny and well-hidden. The procedures used in a Pinnacle Lift allow quick healing, so you won't have to miss out on important events. And, of course, the results of the Pinnacle are unique. It will freshen up and open the eyes, elevate the cheeks, and provide youthful contours to the jawline and neck. While many plastic surgeons determine candidacy simply by a patient’s willingness to pay, Dr. Fisher has a particular surgical philosophy. Following an initial consultation, Dr. Fisher’s surgical plan must be in concert with the goals and desires of his patient, and he must be confident that he will achieve such results. As experience and wisdom intersected with his surgical path, it became clear that not all patients are proper candidates for surgery. With this realization came his seemingly inhuman ability to turn patients away. If Dr. Fisher accepts you for surgery, you can expect among the best facelift Beverly Hills and the world have available. Once your initial consultation is complete and Dr. Fisher has evaluated your facial frame, listened to your cosmetic objectives and agreed to perform The Pinnacle Lift™, he will then begin the meticulous cosmetic surgical planning process that allows him to create absolute beauty for each of his discerning clients. This process begins with Dr. Fisher thoroughly studying the many curves, angles and contours of your facial features, as well as their sizes, relationships and proportions. He will then revisit the cosmetic objectives discussed during your initial consultation and prepare a detailed and customized plan based on your unique needs, goals and facial features. Throughout this extensive process, Dr. Fisher’s top priority is to create a surgical plan that not only ensures your safety during the procedure, but also achieves an exquisite outcome that is in perfect alignment with your cosmetic desires, and among the best facelift results possible. Only after this precise planning process is complete will Dr. Fisher use his creative design, along with his artist’s eyes and hands, to sculpt a more youthful, beautiful and exceptionally natural face. Never deviating from the custom surgical plan he developed just for you, Dr. Fisher will not rest until perfection has been achieved. As such, you can rest assured that you will wake up having received one of the best face lifts Beverly Hills has to offer, not to mention the world. Dr. Fisher is able to achieve incredible results time and time again because he is far more than a technically competent specialist. He brings a rare, heightened level of artistry to the operating room that is extremely difficult to find among other facial plastic surgeons. Guided not only by his technical skill, but also by his raw talent as a gifted artist, Dr. Fisher will expertly enhance your facial features and address the cosmetic imperfections that concern you most, sculpting absolute beauty, elevating your innate allure and creating exquisite perfection. A facelift is a cosmetic surgery procedure to achieve firmer, tighter, fresher looking skin, and a more youthful appearance, with results that can last up to 10 or 15 years. For your convenience, Dr. Garth Fisher has provided answers below to some commonly asked questions about facelifts. Dr. Fisher is considered one of the world's leaders in cosmetic surgery and surgeon to the stars. His prestige and expertise is what makes him among the best to perform a facelift Beverly Hills socialites can rely on. What is the process for a facelift? The first step is a consultation with Dr. Fisher, during which he will evaluate your facial anatomy, and the quality of skin and muscle structure to determine whether a facelift will achieve the results you envision for your appearance. If so, Dr. Fisher will begin with a thorough study of the curves, angles, contours, and proportions of your face. He will then revisit your cosmetic objectives and develop a customized, detailed treatment plan. His top priority is to create a surgical plan that ensures your health and safety, and achieves a smoother, fresher, more youthful facial appearance. Only after precise surgical planning is complete will he perform the procedure to sculpt a revitalized, refreshed face, with exceptionally natural-looking results. In a custom-tailored series of procedures, he reduces excess skin and sagging tissue to address each patient’s unique needs, taking care to maintain the integrity of the hairline, avoid a pulled-back, tight, or overdone appearance, and to minimize scarring so that it is virtually invisible. Dr. Fisher is not only exceptionally skilled in facial surgery, but also brings a rare level of artistry to the process for consistently stunning outcomes. What is different about the Pinnacle LiftTM? The procedures performed are customized to each individual patient. Rather than one large, extensive procedure, a number of small, individual procedures are performed. The procedures used allow for faster healing and a quicker recovery time. Dr. Fisher takes care to ensure that any scars are tiny and well hidden. The Pinnacle LiftTM produces unique results – it opens up and freshens the eyes, elevates the cheeks, and creates more youthful contours in the neck and jawline. You will be able to return home the same day of surgery. Your face will be gently wrapped with bandages after surgery to reduce swelling and bruising. Your head should be kept elevated as much as possible. You can expect some discomfort, which can be treated with medications. Some bruising and swelling is normal and will subside over time. It is important to avoid strenuous activity and sun exposure during the recovery period. The length of recovery will depend on the extent of the treatments performed in your facelift. Most patients can return to work in approximately one week after the Pinnacle LiftTM. 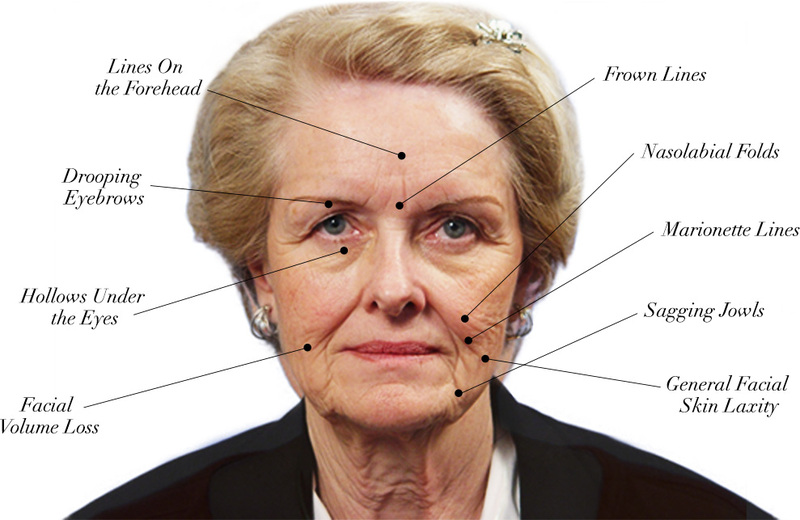 There is no set age at which a facelift should be performed. Individuals ranging in age from their 30’s to their 80’s can benefit from this cosmetic surgery. The patients who receive the most benefit are typically living with the advanced signs of aging, who need more lifting, tightening, and facial rejuvenation. Individuals in their 50’s and 60’s typically have significantly more excess, droopy, wrinkled skin than younger people. An exception may be younger people, in their 30’s or 40’s who have lost a considerable amount of weight and have been left with excess sagging skin. Dr. Fisher uses Stem Sculpt, our latest advance in cosmetic treatment of the face and body, to perform a stem cell facelift procedure. A mixture containing stem cells from the patient’s own body is injected as a facial filler to create beautiful, long-lasting results. Stem cell injections are used to artistically achieve precise contouring and enhanced volume. This procedure provides a natural cosmetic treatment for the visible signs of facial aging, with minimal downtime.